Timoney Tiles and Bathroom Suites has a fantastic range of natural wood flooring to choose from, many of which are held as stock items. 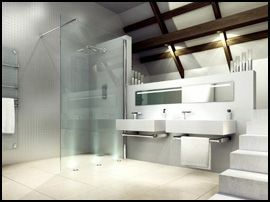 We only sell quality products and have a fresh attitude to domestic and commercial trade. Our wide range of wood floor timber products includes solid, semi solid, engineered wood flooring, parquet flooring and laminate flooring from a number of high-profile companies. Across our range you will appreciate the warm and inviting tones and colours of wood. Wood is one of the world's most versatile floor coverings, not only do you get traditional beauty but also practical advantages such as lasting good looks, resists stains, including wine and food, warm to the touch, easy to clean, fully restorable, hygienic and dust free, especially good for allergy sufferers. All our boards come in a range of thicknesses and our board widths range from thin to extra wide. We also offer a range of finishes which can vary depending on the type of engineered wood flooring you order. We can also supply you with all the tools and accessories you will need to complete, lay and maintain your new wood floor, we offer a choice of underlay. 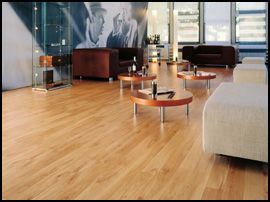 We can supply you or your company with real wood flooring made from all major wood species such as oak, walnut birch, maple and many more. We are also retailers for PERGO floors - the original laminate! Why not get in touch with us for a free quote? Please call us on the number at the top of the page or email us using the form on our Contact Us page. Whether you are looking for a solid wood flooring, engineered wood flooring or laminate wood flooring, Timoney Tiles and Bathroom Suites will have the ideal wood flooring for you! Here at Timoney Tiles and Bathroom Suites, we have a fabulous range of flooring to suit every room and situation, including solid, semi-solid, engineered and laminate.